This entry was posted in Canada Canada Immigration and tagged Canada citizen Canada family class immigration Canada Family Visa Canada Immigration Canada Permanent Residency Canada Work Permit Visa Canadian visa Migrate to Canada on November 1, 2014 by Blog Author. A land of excellent opportunities with amazing geographical variety is Canada. People who wish to migrate to Canada are provided with wide variety of options like work, education and settlement. If you are one amongst who is wishing to gain Canada family visa benefits, you need to apply for Canada Family Visa. Now the question that buzzes in your mind is how to migrate to Canada under Canada family class immigration program. 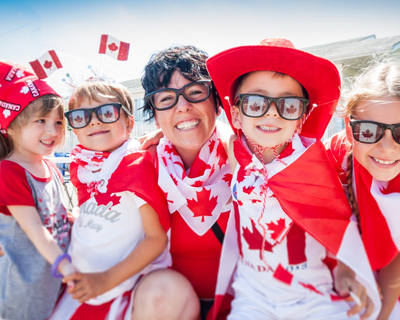 Every year thousands of individuals prefer to apply for Canada permanent residency to enjoy the amazing opportunities of Canada and to settle down there. Most people choose Canada as their dream destination, as Canada is land of better prospects and improved life. To get Canada Immigration Visa under the Family Sponsorship one has to know the Eligibility Criteria to apply for Canadian visa. Family class visas facilitate one to let his/her relatives to immigrate to Canada without any Canada work permit. Inorder to apply for Canada immigration visas of this kind, the sponsoring Canadian citizen should not be under 18 years and he/she must be the permanent resident of Canada. The sponsoring permanent residency holder must be able to support his/her relative for a period of more than 3 years, till they get themselves established in the country as the permanent resident. Note: immigrating to Canada via Canada family visa allows family members or relatives to seek employment without any limits. For Canada work permit visa an individual has to get specific offer of employment from Canada immigration service to immigrate to Canada, but no such documents are required in this process of application. If you are willing to apply Canada family visa fill out MoreVisas Enquiry form, so that one of our visa executive will approach you soon.